The currency of Africa’s largest copper producer will probably remain stable in the “short term,” Managing Director Martyn Schouten said in an interview on April 5 in Lusaka, without giving a time frame. Copper, used in plumbing and electrical wiring, has weakened 5.4 percent this year. A weaker kwacha causes higher inflation and makes it more expensive for government to repay its $750 million Eurobond, according to Finance Minister Alexander Chikwanda. The yield on the debt, due September 2022, gained one basis point to 5.49 percent today. The Bank of Zambia held talks with the country’s lenders after Chikwanda said in a Feb. 26 statement to lawmakers the banks were operating as a “cartel” and are “led into temptation” of profiting through currency manipulation. The Bankers’ Association of Zambia denied the allegations. President Michael Sata last month signed a new law partly aimed at strengthening the local currency, Deputy Finance Minister Miles Sampa said on March 31. The policy requires exporters to deposit foreign-currency earnings locally. “At the present time its fairly unclear to us” what effect on the currency the new law will have, Schouten said. The government will issue a statutory instrument with the details of the Bank of Zambia Amendment Act, Sampa said March 20. The currency may strengthen to below 5 per dollar as a result of the policy, he said. 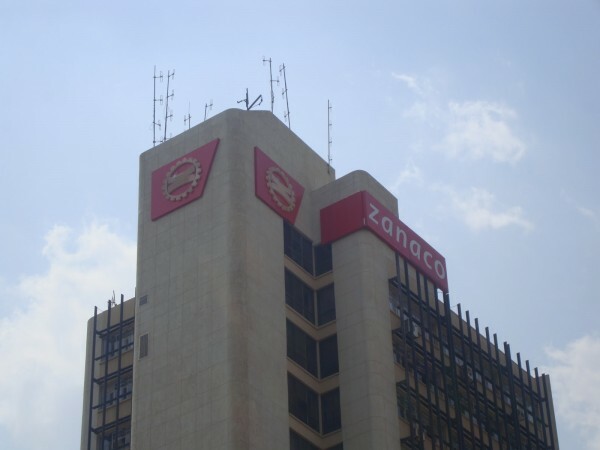 Zambia National Commercial Bank, or Zanaco as the lender is known, has gained 44 percent on the Lusaka Stock Exchange this year.